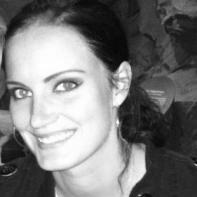 Guest Post, Cortney Davis: Who’s Your Daddy? Regardless of our life circumstances, we each have a biological mother and father. 50% of our genetic make-up comes from Mom, and 50% comes from Dad. But as writers, we also have another set of “parents.” They may be living, or they may have died decades, even centuries ago. They may come from another country or write in a foreign language. We may not agree with their politics or life choices, nevertheless these other parents influence our lives. They are the poets and writers who have shaped if not our genetic futures, then certainly our creative destinies. These special parents are not simply the writers we admire―they are the writers whose work has turned us inside out, touched our souls, and changed the way we put pen to paper. 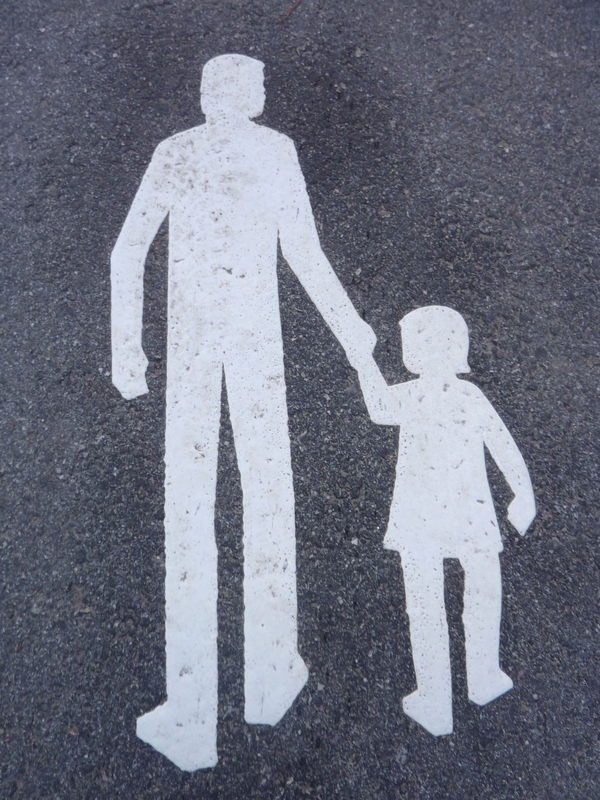 Often, we recognize our creative parents immediately and instinctively. Sometimes, our connection to them becomes evident only over time. My poetry “Mom” is Anne Sexton. Although I’d written as a child, I returned to writing seriously as a wife and mother during the decade when feminist and confessional writing flourished. Involved in both undergraduate studies and an ongoing women’s writing workshop, I was taught that nothing in a woman’s life was out of bounds. Suddenly, it was okay to write about our most intimate bodily details, about our psychological struggles, our families’ flaws and our innermost yearnings. Of course, reading Anne Sexton was required. I admired her poetry for its boldness and its craft, but I didn’t recognize her as my poetry mother until a few years later, when I was about to graduate, finally, with a BA in English and a minor in Creative Writing. It was late, maybe midnight or 1 a.m. My husband and my two children were sleeping, and I was in the family room, curled in a chair, laboring over a poem that wasn’t quite working. I was deep into that space we writers can sometimes enter, that place in which time is meaningless and there seems to be an open conduit between our unconscious mind and our hand. Pausing in my writing, I felt a presence enter the room. It was clearly feminine, and generously approving. It seemed to surround me and―perhaps because in that mysterious space we have access to understandings that elude us otherwise―I knew, in my very marrow, that this presence was Anne Sexton. Then and there, she claimed me. She’d died by her own hand in 1974, years before this visitation occurred. I was already moving away from purely confessional writing, sensing that some events were better left to memory or exploration in a private journal. And, at that point, Sexton wasn’t even my “favorite” poet. Maybe I’d been half-asleep or dreaming. Regardless, in that encounter, I was infused with a deep recognition. There was, and is, something about her ability to blend the formal with the personal, the way she risks the edge in her poetry, and how her poetic voice is both vulnerable and determined, that captured me. Her presence faded, and I returned to my poem; new, just-right words easily led to a perfect closure. Since then, when my poetic bravery wanes or my poetry becomes too staid, too bland, I return to be nourished by Anne Sexton’s poetic strengths. Wallace Stevens is my poetry “Dad.” (Imagine that marriage, Anne and Wallace debating the purposes of poetry over dinner!) Again, although I’d read volumes of Steven’s work as an undergraduate, it wasn’t until I was doing graduate work at New York University that I recognized Stevens as my creative father. One of my teachers, Galway Kinnell, required regular memorization of poems. We had to absorb every word, every line break, every punctuation mark, and so be prepared not only to speak our chosen poems, but also to transcribe them perfectly. One week, I chose Stevens’ “Peter Quince at the Clavier.” If you don’t know this poem, find it. Read it. Get lost in it. That’s what I did, and in the process some of Stevens’ poetry DNA became mine. After I recited the poem, Galway Kinnell said, “His rhythms seem to suit you perfectly,” and I could feel it too. It was as if Stevens’ poetic constructions―the placement of his line breaks, the mysterious underbelly of his stanzas―fit into my own creative sensibilities like a final puzzle piece locking into place. There were other factors too. Stevens had a day job, as I did. His co-workers didn’t know he was a poet, and neither did mine. He embraced a certain privacy and orderliness, evident in his poetry, and yet that order worked to amplify, in a paradoxical way, the secrets and tensions that lived beneath the surface. In “Peter Quince at the Clavier,” Stevens suggests that it’s the misery of not having poetry, of not having something beautiful in your heart, that might be fatal to the human spirit. When my poetic music threatens to fade, or my poems seem too superficial, lacking that lovely “touch of strange,” I return to Stevens, especially to that poem I memorized so long ago. Maybe you have also discovered your creative parents along the way. Artists too have creative parents, and it’s not unheard of for a writer to have an artist or a sculptor as his or her creative parent. Happily, we can even assemble entire families. 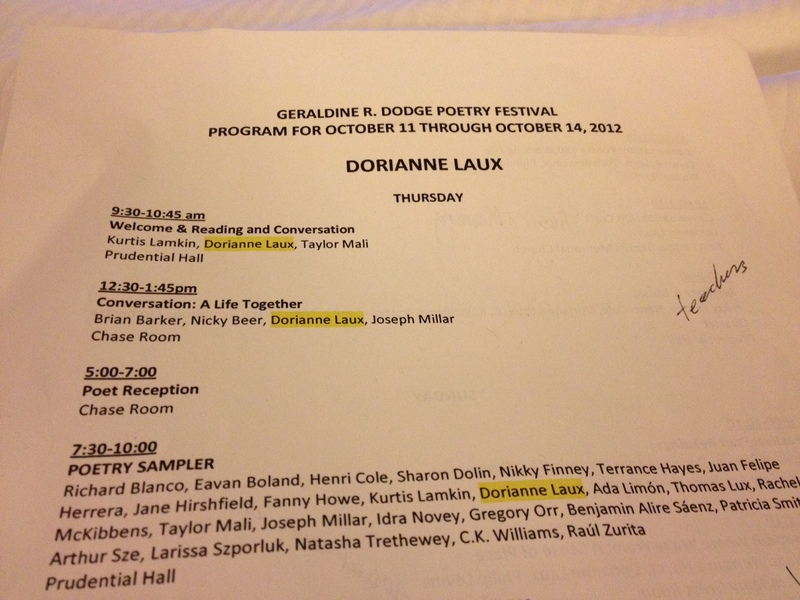 Although in reality I’m an only child, my poetry sisters are Sharon Olds and Dorianne Laux. My poetry brother is, without a doubt, Henri Cole. 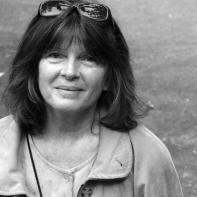 My poetry aunt, on my mother’s side, is Louise Glück. My poetry uncle, on my father’s side, is Yehuda Amichai. My favorite poetry cousin is nurse-poet Jeanne Bryner. An eclectic family indeed, but wholly mine. And while I honor them differently than I honor my actual relatives, I return to my creative parents and siblings again and again, for guidance, for reassurance, and simply for the pure pleasure of being in their company. Alex Linden was kind and generous enough to provide us with a little time and insight into what she does for SR and what she likes to do. Look forward to more information about your editors in upcoming blogs, newsletters, and the website. Superstition Review: What inspired you to start working with SR? Alex Linden: I thought it would be a really great experience. I had Managing Editor Patricia Murphy for a couple of online classes and she mentioned that she was starting an online literary journal with student editors. It sounded innovative and fun. SR: What do you enjoy most about SR? AL: I just really love reading poetry. Comparing my opinions with fellow editors is interesting. People tend to point out things I might not notice about a particular piece. SR: What kinds of things do you have to do as a Poetry Editor? AL: First of all, solicit authors who we would like to see published. It was really exciting to be able to send emails to writers I respect deeply, and have some of them respond with submissions. Then, of course, read all of the submissions that come in and decide which to choose. We also did online interviews—which were great because due to the online format we had time to craft some really thoughtful and precise questions. SR: What are your own personal tastes and preferences in poetry, and how do they affect what you select, both positively and negatively? AL: Like most people, I like poetry that makes me feel something. Even a poem that annoys me or baffles me is better than one that is boring. I tend to like poetry that is more on the confessional side, and poetry that is a little shocking. Sharon Olds is my favorite poet. I would try to not let this affect what poems I select because I think it is important to think outside of the box. At the same time, being completely objective isn’t possible. This is why it is important to have two poetry editors—we try to balance each other out. There were poems I would never select at first, but when encouraged to take a second look at, I definitely appreciated more. SR: What are your plans for next semester? AL: To graduate college! And hopefully get into graduate school. SR: What do you do and enjoy most outside of SR? AL: I love music, to go to concerts. I read a lot and write whenever possible. SR: What do you feel you’ve learned from this internship? AL: The whole process of how an online journal works. It takes a lot of patience and persistence. I am really impressed by everyone—especially those who started the magazine. SR: What would you say about your own personality is your best working asset? Thanks so much to Alex Linden and all of our editors for your time and dedication to issue 2! You know I am looking forward to the release! I have faith that you have all done an amazing job. If you would like to be featured in a blog for Superstition Review, please comment and I’ll get in touch with you!